Oscar F. Cervantes, Ph.D. is a Latino Clinical Psychologist serving the San Francisco Bay Area in private practice. 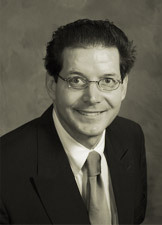 Dr. Cervantes has over 31 years of academic and clinical experience. He also serves as an Assistant Clinical Professor at the world renowned University of California, San Francisco (UCSF) Medical School. Dr. Cervantes is a bicultural and bilingual (English/Spanish) psychotherapist specializing in mood and anxiety disorders, cross-cultural psychology, cognitive behavioral therapy, behavioral medicine and more. Dr. Cervantes treats men, women and children of all ages. In addition to private practice and teaching, Dr. Cervantes has authored over 40 publications, presented at over 60 national and international conferences, made over 200 appearances on national and international television, and made over 40 national and international radio appearances. Dr. Cervantes is regularly called upon as an expert witness in State and Federal courts and he maintains hospital privileges at UCSF Medical Center, Sequoia Hospital and Mills-Peninsula Hospital. Dr. Cervantes looks forward to assisting you with your mental and behavioral health needs. Bienvenidos a mi sitio web. Soy el doctor Oscar F. Cervantes, psicologo clínico con licenciatura, maestría y doctorado que ha servido a la comunidad Latína por más de 31 años. Ademas de atender pacientes en mi consultorio, soy professor en la facultad de medicina de la Universidad de California en San Francisco (UCSF). This website is for informational purposes only and is not a substitute for professional medical or psychological care. There is no psychotherapist-patient privilege arising from any viewing or use of this website. © Copyright 2005-2006. Dr. Oscar F. Cervantes Clinical Psychologist Inc. All rights reserved.